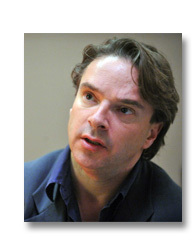 Orlando Figes is Professor of History at Birkbeck College, University of London. Born in London in 1959, he graduated with a Double-Starred First from Cambridge University, where he was a Lecturer in History and Fellow of Trinity College from 1984 to 1999. He is the author of many books on Russian history, including A People's Tragedy: The Russian Revolution, 1891-1924, which in 1997 received the Wolfson Prize, the NCR Book Award, the W.H. Smith Literary Award, the Longman/History Today Book Prize and the Los Angeles Times Book Prize. Natasha's Dance: A Cultural History of Russia (2002) was short-listed for the Samuel Johnson Prize and the Duff Cooper Prize. His latest is The Whisperers: Private Life in Stalin's Russia (2007). The Whisperers is published by Allen Lane in the UK and by Metropolitan in the US. His books have been translated into more than twenty languages. He is a regular contributor to the New York Review of Books.